A red and gold firecracker “pops” amidst its green foliage. As blue hydrangea blooms are making way for golden oak leaves, I wanted to share another “look-alike” plant post with you. Previous Post. As before, six “look-alike” plants are pictured below. After studying their shapes and colors, try to guess their names. Then click on the photos for the answers–and for information about these intriguing plants. 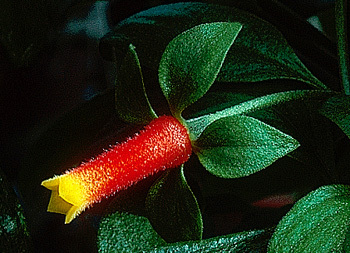 Write a fairy tale that explains one interesting fact about a “look-alike” plant. Make up your own “look-alike” flower. Label the different plant parts: roots, stems, leaves, flowers.